“Chico” Johnson, the exuberant keyboardist and artist was found dead in his Druid Hill Avenue music and art studio on November 1, 2006 at the age of 70. His body was discovered by his son and daughter, Edward, Jr. and Calla. 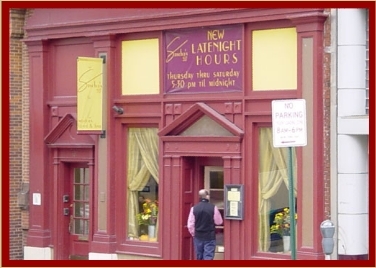 He was best known throughout his career as the music director at the historic Pennsylvania Avenue night spot, The Sphinx Club and his legendary Jazz Jams at the old Sportman’s Lounge. He battled diabetes and kidney disease in his later years and survived triple bypass surgery. Although he received a second kidney transplant in 2002, his health continued to deteriorate. Born Edward Julius Johnson, August 15, 1936 at 1410 Myrtle Avenue in Baltimore, Chico’s mother, Carrie died giving birth, leaving him in the care of his father, jazz and gospel pianist Leonard “Deacon” Johnson who gave him his first piano lesson at age five when his elder brother Winston rejected the opportunity to follow in their dad’s footstep. As Chico matured into his teenage years, his creative expression and artistic curiosities grew intensely for music as he developed an equal passion for drawing and painting. Today, his works of art hang in The Eubie Blake National Jazz Museum’s Gallery and Cultural Center, The Great Blacks in Wax Museum’s Mansion House and many are included among the portfolios of several prominent collections. His last exhibition at the Urban Leagues’s Orchard Street Church was a collaboration with friend and celebrated Baltimore Afro American Newspaper artist Thomas Stockett. 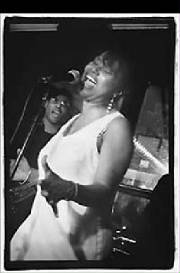 After a 1980’s tour with saxophonist Hank Crawford, Chico returned home and resumed his musical relationships with legendary Baltimore musicians Mickey Fields, Dave Ross, Chico Blair, Peanut Saunderling, Marlene Ross and Danny Brown. 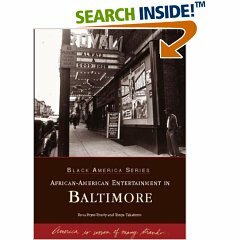 His professionalism and excellence garnered several awards from Bank of America for his depictions of Baltimore life on canvas, The Rosa Pryor Scholarship Fund and the Baltimore City Council cited his contributions to the development of Jazz and Progressive music. His last input was an original music composition “When Love Comes At Last” on singer Larzine Talley’s Swing City CD, “Try It”. A former art student at MICA, Johnson planned to enroll in a music program at Coppin State University. Though he will not fulfill that dream he shall be remembered by many youngsters as the black Santa Claus at Mondawmin Mall where he played piano and moonlighted as the facilities painter for the shopping complex. A lifelong member of Macedonia Baptist Church, Chico often played piano for services and programs. 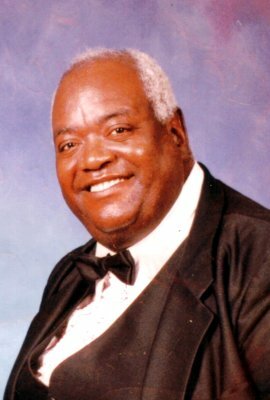 He is survived by two sons, Edward J. Johnson, Jr, Sardoro “Chidi” Johnson, a daughter, Calla Johnson, eight step-children, eight grand children, Vashon Conyer, Rashad Carr, Stephen Carr, Antonio Johnson, Ayana Johnson, Taisha Johnson, Edward J. Johnson, III, Katrina Johnson, brother Winston Johnson and his wife Shirley, admirers and his best friends, artist, Bruce Harrell and faithful companion, vocalist Deborah Johnson. They have no pensions. They have no health insurance. They are sometimes too sick to work. They are sometimes even homeless. They are older now, and the phone doesn't ring like it used to, making the rent impossible to pay. They are the jazz musicians who pioneered this great art form. And they need us now. The JMEF is committed to helping jazz professionals, especially older musicians, overcome their hard times and to help them get back on their feet. As "freelancers," most jazz musicians do not have full-time jobs with one organization. Therefore, they don't qualify for health insurance, pensions, or other benefits, making it next to impossible for them to receive the proper health care they need. In addition, since most jazz clubs are barely profitable, jazz musicians are placed in poor bargaining positions, and often play for marginal fees. This lack of income makes it extremely difficult for older musicians to pay for their living expenses. In fact, they often go weeks without buying proper groceries and other necessities so they can pay rent, or vice versa. Many times they are evicted and find themselves homeless with no means of support. The Jazz Foundation of America makes emergency funds available for immediate needs. The Jazz Foundation provides jazz artists in need with someone who can assess their problems and find solutions. Through valued partnerships with Englewood Hospital and Medical Center, they provide much needed, free medical care. For the past ten years, Jazz Foundations' jazz musicians have been getting hundreds of free medical care visits and operations from our network of specialists. And the Jazz Foundation of America established a volunteer network of other caring jazz enthusiasts to provide free legal, dental, and psychological services when needed. Look through our Who We Help page and see for yourself how these volunteers and donations like yours are making bad situations better and reuniting many of these musicians with their music. 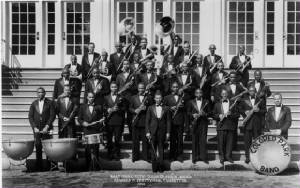 1st row, left to right: David Johnson, Leroy Jones, Joseph Brown, Bernard Byrd, Jr., James Dixon, Edward A. Prettyman, Carl Moore, Jimmie Duppins, Harrison Watts, Sidney Dukes, Leo Hunt; 2nd row: William Summerville, Clarence Bright, Roy McCoy, Jimmie Tazzell, James O. Jones (assistant conductor), Medford Campbell, Thomas Williams; 3rd row: Oscar Davenport, James C. Carter, Lawrence Holms, Lennil Mosely, Bernard Byrd, Sr., Eugene Savoy; 4th row: George Banks, David Parham, Quentin Morgan, Charles E. Gwynn, Oliver Wilson, Edwin Whittington; 5th row: Milburn Matthews, Alvin Larkins. Bubby Johnson, Milton Green, Blondea Garner, Rosalie White and Hubert Robinson (not shown here), were also members of the band. Starting a Jazz collection is something every well-rounded music listener considers. Unfortunately, most folks have trouble getting started because they don't know where to begin. Do you start chronologically with Louis Armstrong or do you jump right into the new stuff -- how about the '50's and '60's? Everyone is different, so where you begin will depend a lot on your musical taste. We hope the information on this page provides you with some insight on how to build your CD collection as well as discover the essentials about the music, its players and its rich history. There's a lot of great music out there. Take your time and have fun exploring the world of Jazz!